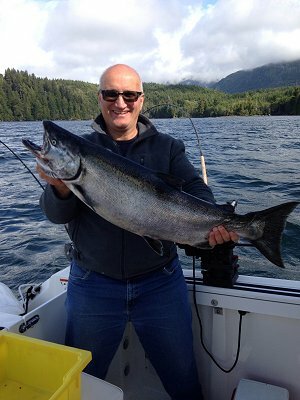 14th March, 2016: FISHING REPORT: Port Alberni Inlet, Barkley Sound, Ucluelet (West Coast), Somas-Stamp River System. March on the West Coast, Barkley Sound, and the Port Alberni area also means the first major fishing derby of the year and also one of the biggest festivals on British Columbia’s West Coast. The first weekend of March celebrates the Sproat Loggers salmon fishing derby. This year the popular derby which has had close to 400 entrants in past years takes place on March 5th and 6th. The derby is hosted out of Poett Nook located at the far end of the Bamfield Wall in Sarita Bay. March also welcomes the Pacific Rim Whale Festival. This festival takes place from March 12th to 27th and celebrates the official kickoff to the beginning of the Whale watching season. The vast area of Vancouver Island’s coastal waters between Ucluelet and Tofino witness the migration of over twenty thousand Gray Whales as they make their thirteen thousand kilometre journey from Mexicos Baja Peninsula to the Bering Sea. This event began twenty-nine years ago. The Pacific Rim celebration has many daily events that people of all ages can enjoy. Many events are free and some do have a very minimal charge. One of the biggest features is the Chowder Chowdown which takes place in the Ucluelet Community Centre on Sunday March 20th. Two other spectacular features are the Sweet Indulgence all you can eat dessert and the Blues Concert which takes place at the spectacular Black Rock Resort in Ucluelet. 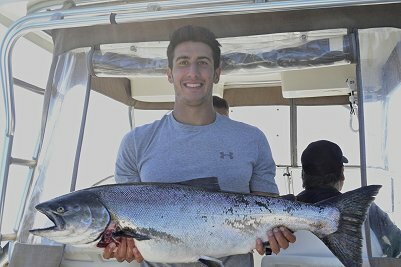 Spring is the beginning of new things and is also the beginning of a spectacular sport salmon saltwater fishing season. Those people looking forward to salmon sport fishing this summer in British Columbia will again be pleased to hear that the fishing opportunities in many of the more ideal locations will have some fabulous salmon fishing in 2016. Vancouver Islands Pacific Rim area will boast some of British Columbia’s best salmon fishing. The summer of 2015 saw record numbers of sockeye return to the Somass River located in Port Alberni. The migratory flow of Chinook salmon that swam the west coast of Vancouver Island heading to various watersheds to the south stayed close to the beach and created a fantastic inshore sport fishing season. The Chinook Migration also created some very good fishing out on the sandy banks in offshore waters. Many Chinook came into the vast coastlines, various inlets, and sounds to feed on the rich resources of bait fish found along the surfline of Barkley Sound. The migratory flow of Chinook salmon in 2016 is expected to be relatively strong. 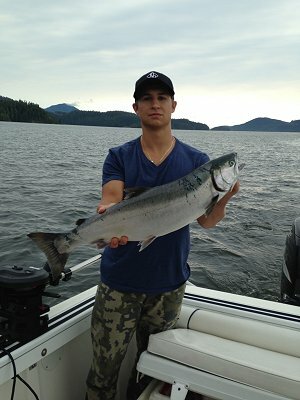 West Coast Vancouver Island Chinook are expected to be in very good numbers with the average age class at four years. Sockeye returns coming into Barkley Sound and returning to the Somass River system are again expected to be just a little above average for the 2016 summer sport fishing season. One can only hope for the same return as 2015 when well over two million Sockeye salmon migrated into the system. The early Sockeye return to the Somass River often begins in mid May. 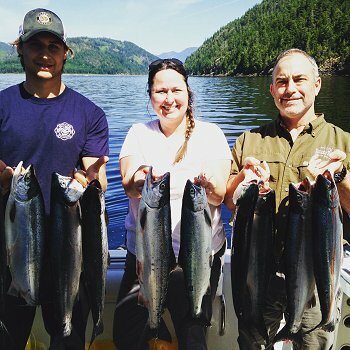 Sport fishing for these number one commercial salmon in the Port Alberni Inlet usually is well underway by the 15th of June with the peak of the season occurring the second or third week of July. Henderson River Sockeye which are often bigger than the Somass River stock begin to show in the middle of July and often swim as far up the Alberni Inlet to Nahmint Bay before turning back to the mouth of the Kildonan Inlet and the Henderson River. Chinook and Coho returns to the Somass-Stamp River system should be better than average. The Robertson Creek Chinook return is looking better than last year but numbers have not yet been fully discussed or publicized. The early Chinook Salmon which are migrating down the Vancouver Island coastline often appear in April and actually go through three very different runs know as early summer, mid summer, and late summer. The Coho appear in early July and from mid July through September will keep west coast sport fishermen busy during their daily fishing excursions. The Sproat Lake Loggers Derby is closing in and is only a few days away. This years’ derby takes place on March 5th and 6th with derby headquarters at Poett Nook. Cost per entry in past years has been $15 to $20. Ticket sales have been at Gone Fishing and Port Boat House which are both located in Port Alberni. If you are planning on fishing the Sproat Lake Derby or just coming fishing for Winter Chinook over the next six to eight weeks remember to fish deep and if using hootchies slightly lengthen up on your leader length. Summer lengths are ofter forty-two inches if behind a flasher. During the late winter and early spring forty-four to forty-six inches is not a bad length. Coyote spoons in three and a half or four inch are also good. Three and a half inch seems to work better with smaller bait especially at this time of year. Cop Car, Irish Cream, silver hordes, green glow and Blue or Green Nickel are great choices. It is never a bad idea to also have bait (anchovy) on board ones sport fishing boat. Usually the feeders are where there is bait. So it is important to find the bait balls. The fishing in Barkley Sound through March, April, and May should really pick up as the feeder Chinook move in with the herring spawn and the early summer run of Chinook make their way to southern watersheds and come into the Sound to rest and feed on the rich resources of bait fish. By late June and into the month of July the Sound should fill up with the summer run of Chinook and Coho which hopefully will once again be in very big numbers. 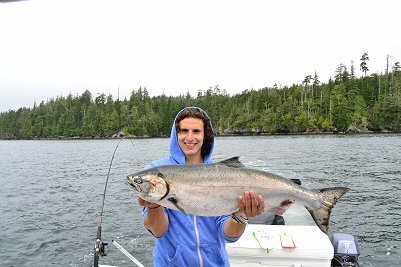 Those daring to fish the waters of Ucluelet during the late winter have had some success relatively close to the Ucluelet Harbor. There has been some beautiful winter afternoons and mornings with a few sporties salmon fishing the Alley, Mara Rock, Sail Rock, and Great Bear. There have been some nice feeders amongst the bait fish. Great Bear is often the best spot. As mentioned there are some very nice days on the open Pacific during the winter months. Ucluelet does have a great location as boats can go up Peacock Channel and fish in the quiet and protected waters of Mayne Bay, Lyle Point, or Swale Rock. 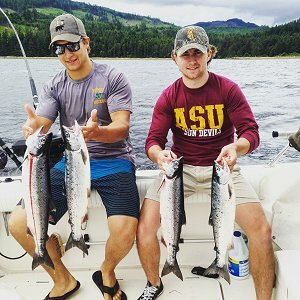 All of these locations over the years have had some great fishing in March and April. We are expecting some great feeder Chinook fishing right through April and even the first half of May. The early summer run of salmon headed to watersheds to the south should begin to show by mid April which should be the beginning of another fabulous summer of fishing for 2016. Remember the west coast has plenty of activities during the early spring. The Pacific Rim Whale Festival begins March 12th and continues until March 27th in Ucluelet and Tofino. It is the beginning of another saltwater summer fishing season. Plan early and enjoy the 2016 salmon sport fishing season in all Pacific Rim areas.